Hello, tokusatsu community! 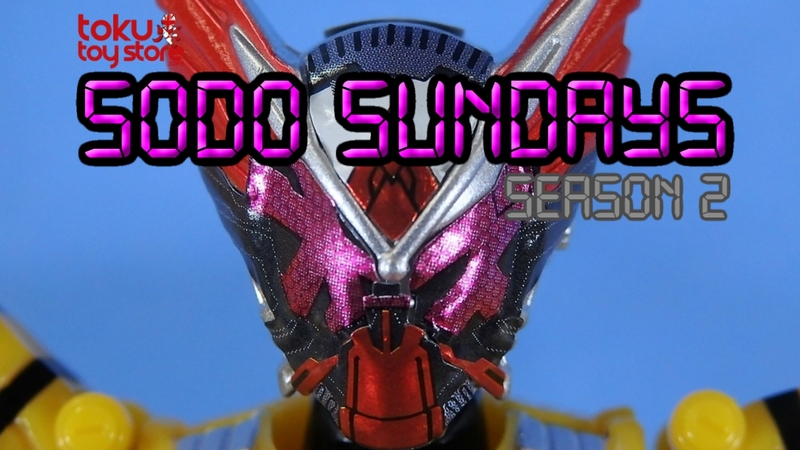 It’s Joshua Perry here to talk about SODO figures on my fortnightly series, SODO Sundays. Today, Zi-O Set 4 and some news on the Zi-O EX set! The first figure for Set 4 has been revealed to be the OOO Armor! This armor, like the Fourze Armor from Set 3, will require the use of the new base Zi-O body which is being included once again in Set 4. The Taka, Tora, and Bata animals can all form their animal modes as well, with a special piece for Taka to have both animal and head modes. A special Ziku Driver piece is also included that doesn’t limit any articulation and can still spin. The EX Set coming out next year has finally been revealed to be the Time Mazine. Zi-O’s version to be exact. Being a SODO scale version it can form both fighter and ship mode, as well as have a range of articulation. A special piece is included to make the head have the OOO Ridewatch instead of Zi-O as well. The EX Set is also including Zi-O and Geiz’s bike, the Ride Striker.